Duke basketball is one of the most successful college programs in all of college sports. Led by one of the greatest coaches of all time in Coach K, who has the most final four appearances for any coach ever. With the second longest streak of all time being in the AP Top 25 success is normal for the Duke Blue Devils and their fans. Coach K has produced the most first-round picks of any coach ever with 23 and he will add to that total after this season. That’s for sure. 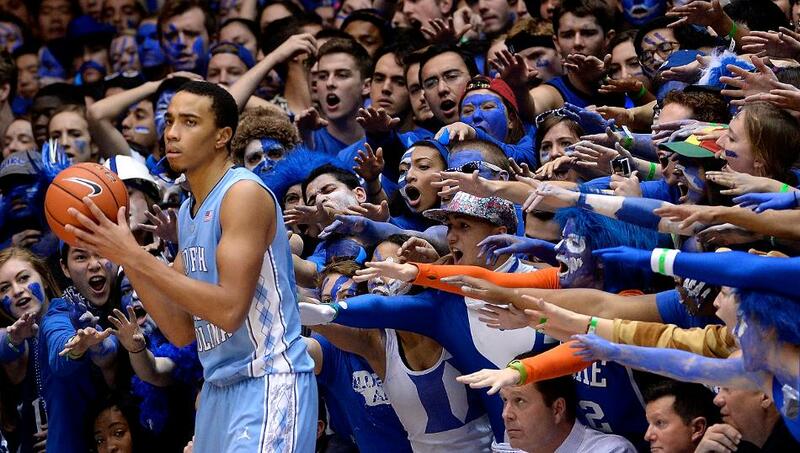 Without a doubt, Duke vs North Carolina is one of the greatest rivalries in sports. For the players, fans, and even coaches there is no love lost between these two schools. Guess how many miles separate Duke from the University of North Carolina? They are located only ten miles apart along Tobacco Road. The Duke vs UNC game means more than just a regular season win for these teams. The winner of this game historically wins the ACC 77.7% of the time. Both schools boast two of the winningest programs in NCAA men’s basketball history. 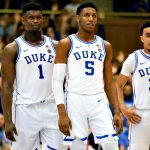 North Carolina basketball coming in at #3 on the list and Duke basketball is at #4. Duke University has won five NCAA championships and has made it to sixteen Final Fours. While the North Carolina Tarheels have won six NCAA championships and appeared in an NCAA record twenty Final Fours! That’s ten National championships combined over the last 36 years! Duke and Carolina have had a firm grasp on college basketball’s balance of power. The craziest part is the fact that the past 69 years of the AP poll, the teams have been in the pre-season top four 69% of the time. 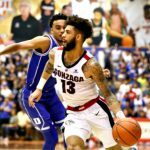 Making it a three in ten chance that Duke or UNC will start the year ranked number one. 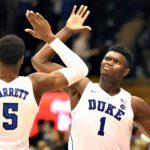 Duke Recruiting Class Best of All-Time? Introducing a new style, a new assistant coach, and three extremely talented freshmen, its indicative of how the Duke Blue Devils are evolving as one of college basketballs best. 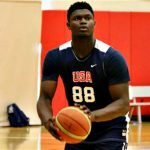 Led by Zion Williamson, a physical freak of nature. Followed by the top-ranked player in this year’s class R.J. Barrett. Then, there is the best shooting prospect in this class; Cam Reddish. Duke University is no stranger to dominant recruiting classes. In 2014 Coach Mike Krzyzewski boasted a class that was #1 in the nation, led by players like Jahlil Okafor, Tyus Jones, Grayson Allen, and Justice Winslow. That team went on to win the national championship and all four players are currently on an NBA roster. Oh, by the way; Duke Basketball has been ranked as the #1 team in the nation for 235 weeks in their history. 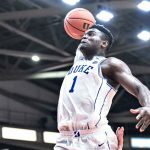 It’s been three years since one of the worst seasons in recent memory for the blue devils when they were out of the AP Top 25 for the first time since 2007. Lucky for Blue Devils fans they have one of, if not, the most talented rosters in the country. 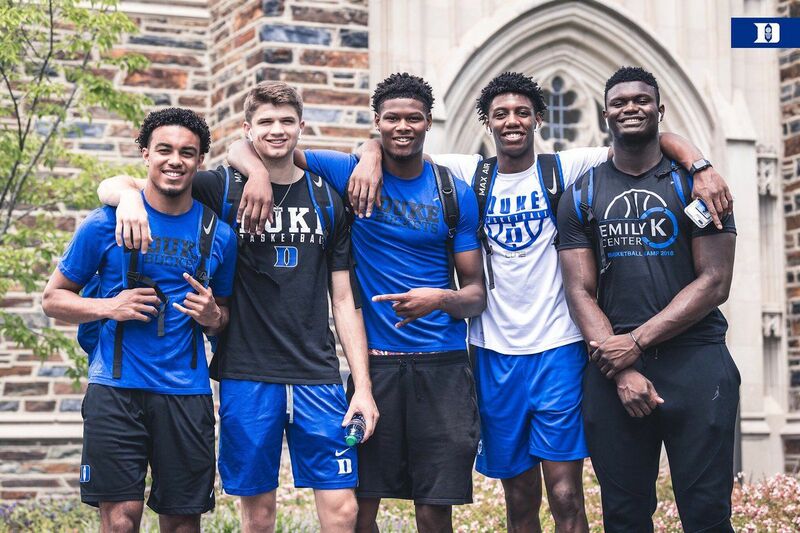 As stated before, Zion Williamson, Cam Reddish, and R.J Barrett are the big names this season, but this Blue Devils team is extremely deep. Williamson is the best athlete Coach Mike Krzyzewski has ever coached (in his own words). R.J Barrett is likely the number one pick with the way he attacks the basket so effortlessly. The wildcard for Barrett is his jumper. If he can constantly hit a jump shot, watch out college basketball! Cam Reddish is the smoothest player in the class. Reddish can score from anywhere on the floor and is an extremely efficient shooter coming out of high school. A great example of that is the season opener against Coach John Calipari and his Kentucky Wildcats. Duke absolutely demolished Kentucky and showed the entire nation what they should be afraid of. Kentucky had the second-ranked recruiting class in the nation and they looked overwhelmed. 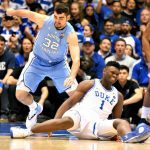 Chemistry and defense have been weak spots for Duke teams in the past but this team feels different. Williamson, Barrett, and Reddish have had a group chat going since they were in high school. The bench is one the deepest in the country and they look poised to go deep into March. Coach K is more determined than ever and prepared to make another title run. Expect Duke to be right there cutting down the nets in Minneapolis.